300 pages | 29 B/W Illus. Since many countries in the world at present were European colonies in the not so distant past, the relationship between colonial institutions and development outcomes is a key topic of study across many disciplines. This edited volume, from a leading international group of scholars, discusses the comparative legacy of colonial rule in the Netherlands Indies and Belgian Congo during the nineteenth and twentieth centuries. Whereas the Indonesian economy progressed rapidly during the last three decades of the twentieth century and became a self-reliant and assertive world power, the Congo regressed into a state of political chaos and endemic violence. To which extent do the different legacies of Dutch and Belgian rule explain these different development outcomes, if they do at all? 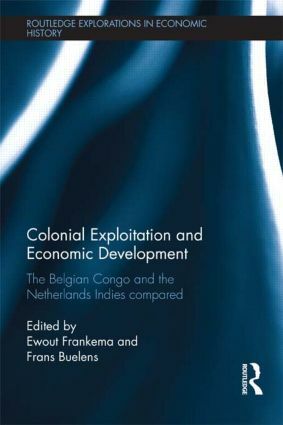 By discussing the comparative features and development of Dutch and Belgian rule, the book aims to 1) to contribute to a deeper understanding of the role of colonial institutional legacies in long run patterns of economic divergence in the modern era; 2) to fill in a huge gap in the comparative colonial historical literature, which focuses largely on the comparative evolution of the British, French, Spanish and Portuguese Empires; 3) to add a focused and well-motivated comparative case-study to the increasing strand of literature analyzing the marked differences in economic and political development in Asia and Africa during the postcolonial era. Covering such issues as agriculture, manufacturing and foreign investment, human capital, fiscal policy, labour coercion and mineral resource management, this book offers a highly original and scholarly contribution to the literature on colonial history and development economics. Ewout Frankema is Professor and Chair of Rural and Environmental History at Wageningen University, the Netherlands. Frans Buelens is a researcher at the Faculty of Applied Economics, University of Antwerp, Belgium.